Sam Taha, COO for Kuwait, SAP, discusses whether more businesses should look to introduce AI to improve the customer experience. Worldwide, on average 68% of organisations are using Machine Learning – to at least some extent today – to enhance their business processes, according to the recent survey Making the Most of Machine Learning: 5 Lessons from Fast Learners, conducted by the Economist Intelligence Unit with SAP. 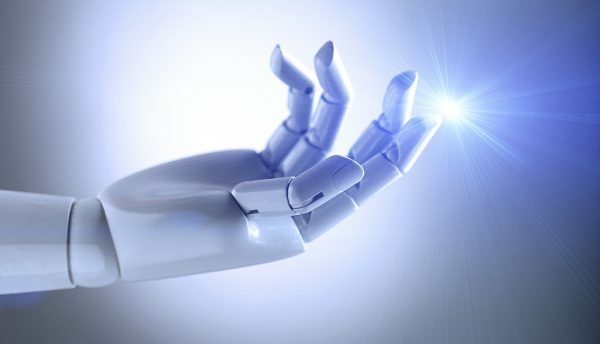 It’s no surprise that Artificial Intelligence investment continues to skyrocket – with the global business value from Artificial Intelligence growing by 70% to US$1.2 trillion in 2018, according to a recent industry report. Machine Learning uses sophisticated algorithms to enable computers to ‘learn’ from large amounts of data without being explicitly programmed. The more data the algorithms can access, the more they can learn. This enables software to adapt and improve the execution of tasks and processes autonomously and continuously. More so than other technologies, Artificial Intelligence and Machine Learning are set to transform Kuwait’s economy, society and environment. Artificial Intelligence can provide the ‘brains’ for autonomous vehicles to enhance traffic, for utilities providers to predict and manage energy peaks, and for banks to gauge loan payback. Every organisation’s line of business is being impacted by Machine Learning – including contact centre services, legal, finance and accounting, data processing and analytics, human resources, research and development, physical infrastructure management, logistics, marketing, procurement and unique processes. In the Middle East and North Africa, more than 70% of digitally-leading organisations are investing in Artificial Intelligence and Machine Learning in 2018 – more than triple the rate of all organisations in the region, according to the recent SAP and Oxford Economics Digital Transformation Executive Study. These digitally-leading organisations are seizing opportunities – expecting 23% more growth by 2019 and already having 85% of market share and 80% of profitability versus competitors. What makes a digital leader? C-level leadership and support is vital. Kuwait’s organisations that are starting with Artificial Intelligence projects that can show quick ROI drives home business benefits – including increased profitability and revenues, more competitive differentiation and faster, more accurate and more cost-efficient processes. About two-thirds (64%) of organisations expect to find increased profitability. But what holds organisations back? Lack of external and internal Artificial Intelligence and Machine Learning expertise, lack of clarity on strategy and lack of funding are cited among the greatest challenges. In discussions with our customers in Kuwait, c-suite executives understand the importance of tying in Artificial Intelligence and Machine Learning projects to organisation-wide Digital Transformation agendas. Worldwide, while 84% of organisations say that Digital Transformation is critical, only 3% have completed Digital Transformation, according to the recent SAP and Oxford Economics Digital Transformation Executive Study. Indeed, our customers that see the biggest benefit are those that integrate Artificial Intelligence and Machine Learning on one digital platform, such as our SAP Leonardo digital innovation system, which can integrate these technologies with fellow emerging technologies such as Blockchain, cloud and the Internet of Things. Still, the transformation from a regular enterprise to an intelligent enterprise is not just about the technology and strategy. Organisations need to develop partnerships with the public, private and academic sectors in order to train their staff in how to optimise Artificial Intelligence and Machine Learning. 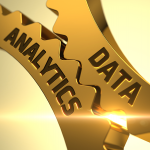 Not every employee needs to be a data scientist crunching Artificial Intelligence data. But employees do need to have basic data science skills. With Kuwait’s digital innovation market approaching KWD 300 million this year, and with New Kuwait 2035 coming closer to fruition, Kuwait’s organisations need to prioritise their Digital Transformation in Q4 2018. Artificial Intelligence and Machine Learning should be at the core to unlock intelligent enterprises.